A community service project is an excellent way to bring about change on a small, intimate level. 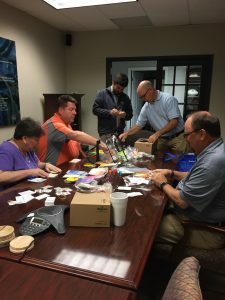 Today, a few of our ACCi team members were able to lend a hand in packing outreach bags for SafeHouse of Shelby County. Community involvement changes lives. ACCi cares about the community and are we are dedicated to giving back! SafeHouse is a non-profit organization providing critical domestic and sexual violence response, prevention and intervention programs for the communities of Shelby, Coosa, Clay, and Chilton Counties in Central Alabama.